04.03.2011 » Cristiano Ronaldo: "I got injured just after scoring the goal"
Cristiano Ronaldo picked a small injury from last night match between Real Madrid and Malaga, which the "Merengues" won by 8-0. Ronaldo complained about some pains after completing an hattrick. 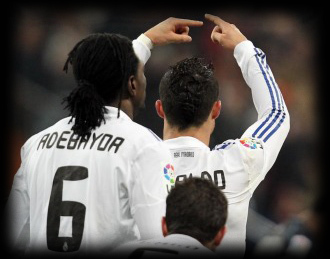 CR7 said after the match that he's not very optimistic about being able to play this Sunday against Racing Santander. Cristiano Ronaldo couldn't finish last night match against Malaga. The portuguese star asked to be substituted, moments after he completed another hattrick and immediatly got replaced a few seconds later, around the 78th minute. Obviously, every Real Madrid fan got worried about CR7 condition, since there are key matches coming up in the next weeks and monthes. Apart from the 7-0 stunning victory that Real Madrid achieved against Malaga, the other good news are the possibility that this injury isn't very serious, at least from what could be observed until now (2 hours after the incident). Appearently, the pains are result of a new contracture in the ankle, which has been bothering Cristiano Ronaldo for quite some time. The bad news are Cristiano Ronaldo own opinion on the extent of the injury. Cristiano Ronaldo: "I got injured in the moment I scored the goal, just when I was going to put the foot on the ground. I didn't want to force it because there are very important matches coming up and that's why I immediatly asked for substitution." Then came a preocupating statement. Cristiano Ronaldo: "I don't think I'll be able to play this Sunday against Racing Santander." Let's wait for tomorrow news and more detailed medical reports and hope nothing serious comes from this "small" injury.